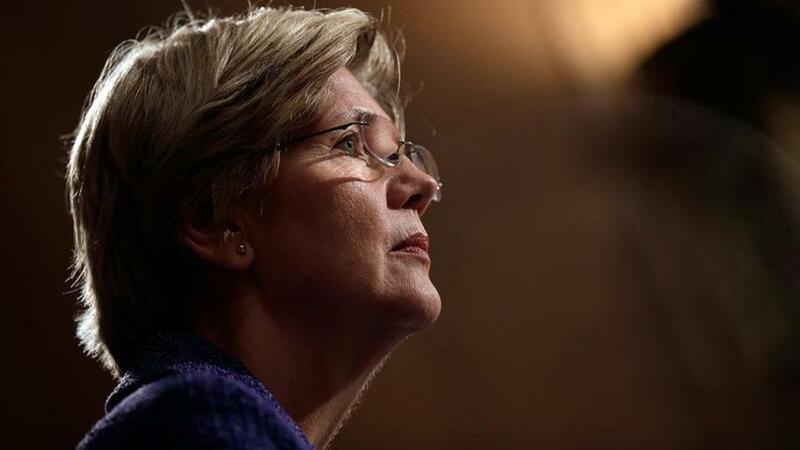 Elizabeth Warren is still mad as hell at the Wall Street takeover of the next White House. But she’s also a little mad at herself. That Facebook excoriation of hedge fund manager Whitney Tilson? She shouldn’t have done it, the senator said in an interview Wednesday afternoon. Afterward, she called Tilson to tell him so. “I think I took it too far,” Warren said. The problem was, Tilson isn’t that kind of guy. While he is relieved Trump isn’t putting lunatics in charge of the financial system, Tilson is a vehement critic of the president-elect, and a huge fan of the senator. Senator Elizabeth Warren’s condemnation of a longtime Democratic supporter has caused some confusion — from the supporter himself. “There are many things I agree with Whitney on, and I wish my tone had been less heated,” she said. Heated it was. The whole thing began when Tilson was quoted in a Dec. 1 Bloomberg News story on how Trump was stacking his administration with the brand of bankers and fat cats the candidate had decried on the stump. Trump had “conned” voters, Tilson said, and Tilson took some pleasure — “glee,” he said — in voters’ anger at that. But you didn’t have to read very far into the article to learn that Tilson wasn’t just another shameless rich guy celebrating a president-elect sticking it to little people foolish enough to take him at his word. In addition to being a big Warren supporter, Tilson donated $40,000 to Hillary Clinton’s campaign this cycle, and is a fan of Dodd-Frank, the legislation designed to protect us from another big bank meltdown. “I worry about Wall Street returning to being a casino,” Tilson said near the end of the Bloomberg story. If you didn’t get that far, Tilson came out looking like a callous jerk — exactly the kind of callous jerk whom Warren has made a career of standing up to. The senator wasn’t aware Tilson was a supporter, and on board with her ideas, when she wrote the post, she said. And she said she still objects to Tilson saying he felt “glee” at Trump’s betrayal. To be fair, though, she wasn’t the only one who missed the nuance of his position. A couple ofstories written off the Bloomberg interview omitted Tilson’s views on the finance industry, making it seem like he was happy about what Trump was doing and had no regard for voters who were duped. It’s an epidemic these days, people making judgments without fully understanding their targets, rushing to social media before reading to the ends of stories or even getting beyond the headlines. But it made Warren look awful — especially since she stood by her post even after Tilson and his wife, a former law student of Warren’s, reached out to explain who they were and how they really felt. A New York Times columnist picked up on the rupture this week, and Warren’s critics — eager to defuse the rhetorical potency that has made her a political force — pounced, condemning her for popping off without cause. Warren is brilliant, and devastatingly eloquent, in defense of the ordinary people battered by the deal-makers on Wall Street. She is fearless, saying things too few politicians are willing to utter. She took the fight to Trump during the presidential race, her Twitter burns besting the bully on his home turf. That voice is even more vital now, with precious few on Capitol Hill willing to truly stand up to the president-elect. 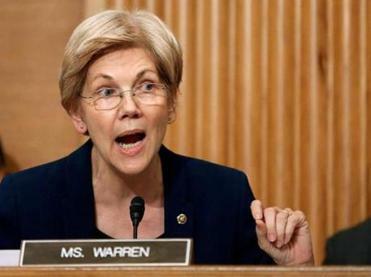 Warren’s Facebook post squandered some of her valuable capital, giving her critics grounds to suggest, with not a little sexism, and plenty of glee, that Warren rants for ranting’s sake. The episode invites comparisons to Trump himself, the hot-headed master of knee-jerk reactions. That is something Warren must avoid at all costs. But we all make mistakes. Unlike her chief adversary, Warren is willing to admit it.